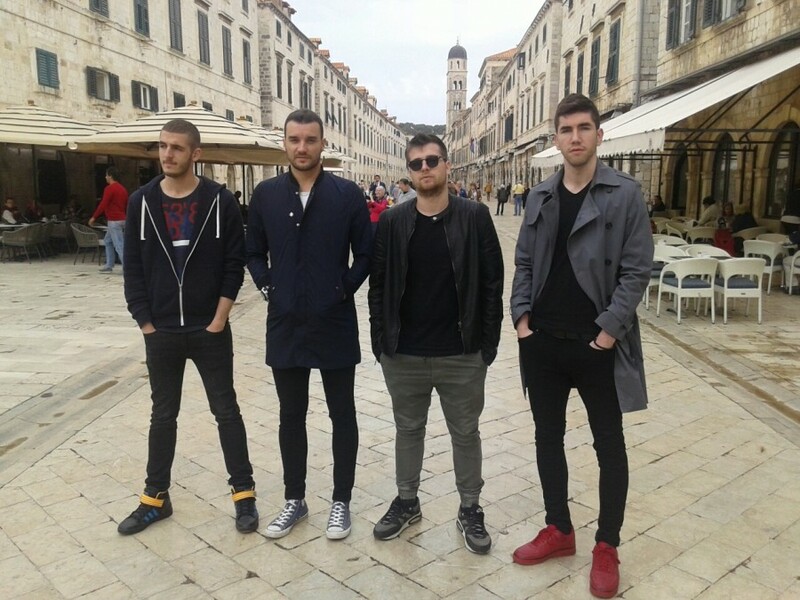 Montenegro will be at the upcoming Eurovision Song Contest in Sweden represented by Podgorica band "Highway", which originally consisted of singer Petar Tošić and guitarists Marko Pešić and Luka Vojvodić. On December 16, 2015, it was announced that the band will also be joined by Bojan Jovović, ex-member of "No Name" and "Neon" as keyboardist and vocalist. 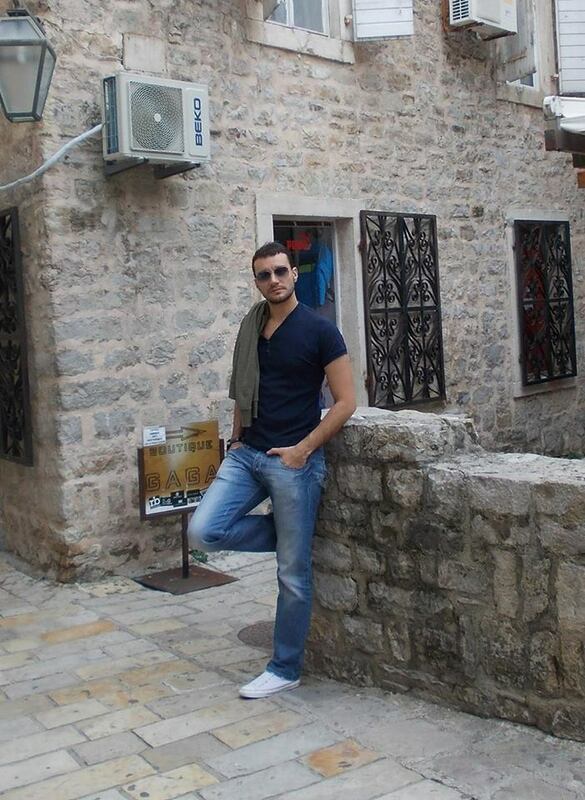 Petar is a first year student of Electro-Technical Faculty in Podgorica. He attended elementary music school Vasa Pavić and played the violin. Luka, son of RTCG Director General Rade Vojvodić, is a first year student of Faculty of Economic. Marko is a second year student of Faculty of Economics. He also graduated from an elementary music school Vasa Pavić playing guitar. Luka and Petar know each other for life, and they met Marko two years ago. The idea to form a band came to them three years ago during summer holidays in Herceg Novi. Boys prefer to listen to pop, rock, blues, jazz music. As their idol they name Ed Sheeran, and as a favorite song, "Do I want to know" of Arctic Monkeys'. 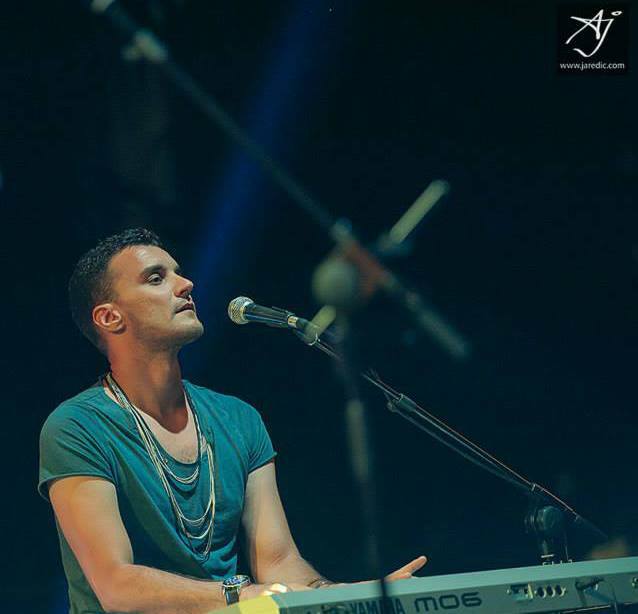 Bojan is the most experienced member of the band, having behind 11 years of stage career, who also performed at Eurovision 2005 as part of "No Name". "In the evening we played together in the mall, and people would come up to us and asked us whether we have the footage on YouTube and whether we have recorded our songs. It was one of the reasons that we begin together to play in the band", explain band members. 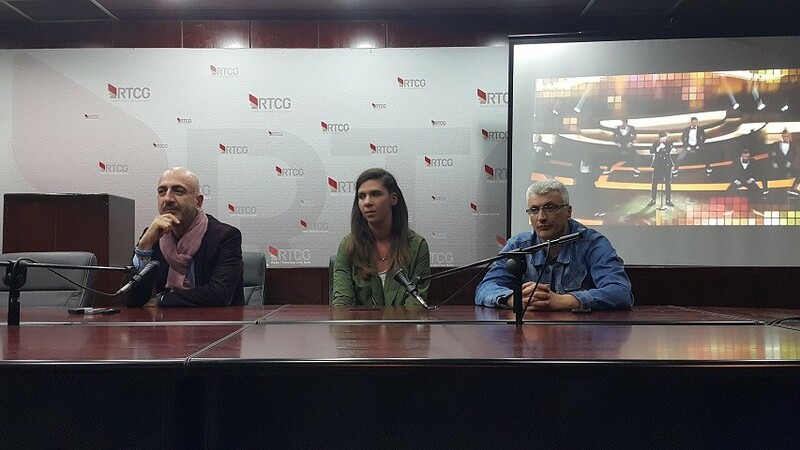 The Commission, consisting of members of the RTCG Council, lyricist Dragan Tripković, music editor at Radio Montenegro Nada Vučinić, music editor at RTCG Slaven Knezović and famous jazz musician Milorad Šule Jovović, suggested that "Highway" should represents Montenegro at the biggest international music competition. Executive board of the broadcaster has unanimously supported the Commission's proposal. The choice has been revealed to the public on 2 October 2015. 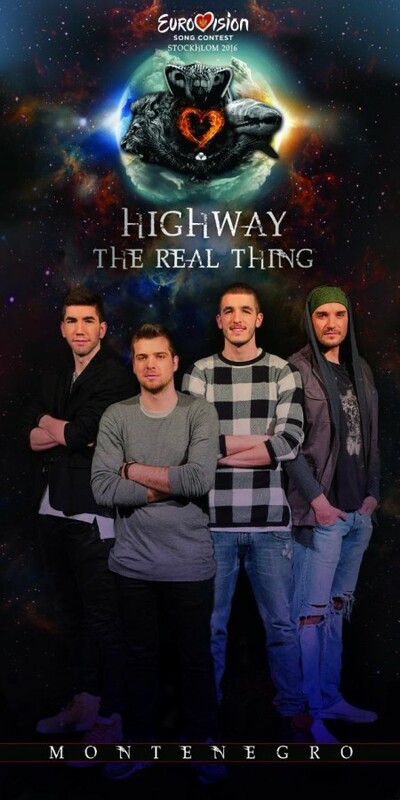 The band "Highway" became popular after the success in the regional competition "X Factor Adria", in which they took the fourth place. "Marko was the most enthusiastic to apply for X-Factor, at first, this idea was not really liked by Luka and Petar, but in the end we all three realized that it was the right choice for us, so that more people hear our music". They were mentored by Tonči Huljić, who was in charge of bands category at the competition, getting in the line-up as Second Chance entry. At the shows they have performed own song "Lud" they wrote in 15 minutes, "Zauvijek moja" of "No Name", "Neko te ima", "I Need a Dollar", "Par godina za nas" / "Ti si sav moj bol". In the final they performed "Do I Wanna Know?" and "Sve je lako kad si mlad" / "Šta sada ljubav ima s tim". In September "Highway" have formalised cooperation with the publishing house Menart, which is the regional representative of "Sony Music" label. 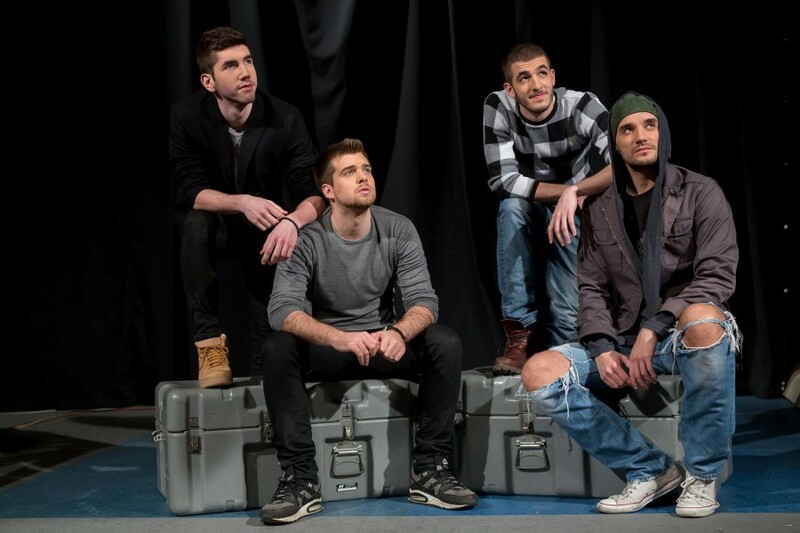 "Highway" with the song "Bar na kratko" (their audition song at X Factor) won third place in the "New Stars" evening of this year's festival "Sunčane Skale". 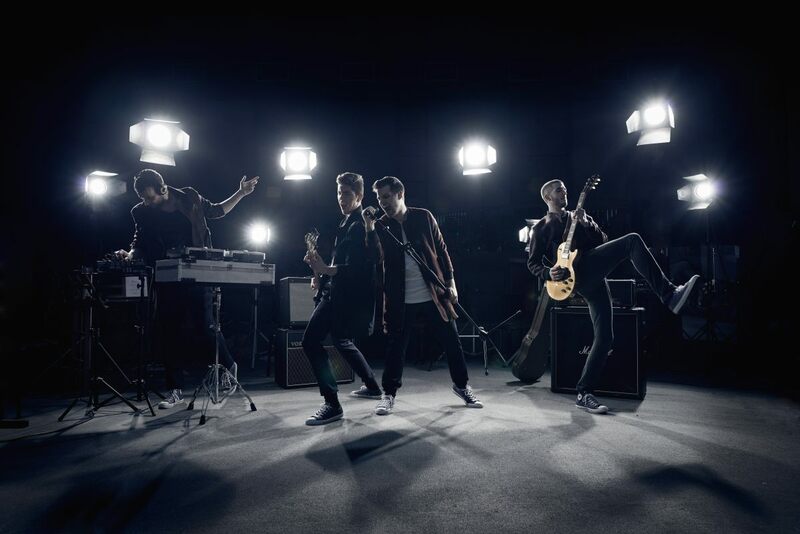 On 23 November they have presented their first music video on the song "Sam". New joining Bojan Jovović revealed that he will share vocal duties in the Eurovision Song Contest entry, as well as plans to propose two tracks written by him for the inclusion to the debut album of "Highway", planned for the late 2016. "I like that Petar, Luka and Marko are ready to ask, accept advice and criticism. Regardless of the popularity they have gained in a short time, they do not act as the stars who know everything. It's nice to get on, I'm sure we will get some ideas to negotiate easily,", he said. "I think we all need to stand behind Highway because what the band does, is completely different from anything in the Balkans. Today it is not easy," adds Jovović. Montenegrin entry "The Real Thing" has been presented during the TV special, aired on 4 March live from Hotel Splendid in Bečići. "I think we'll do a very good show and that our song will be liked by the European audience", said Marko Pešić. Bojan Jovovic added that the song is demanding, but that suit their own skills. 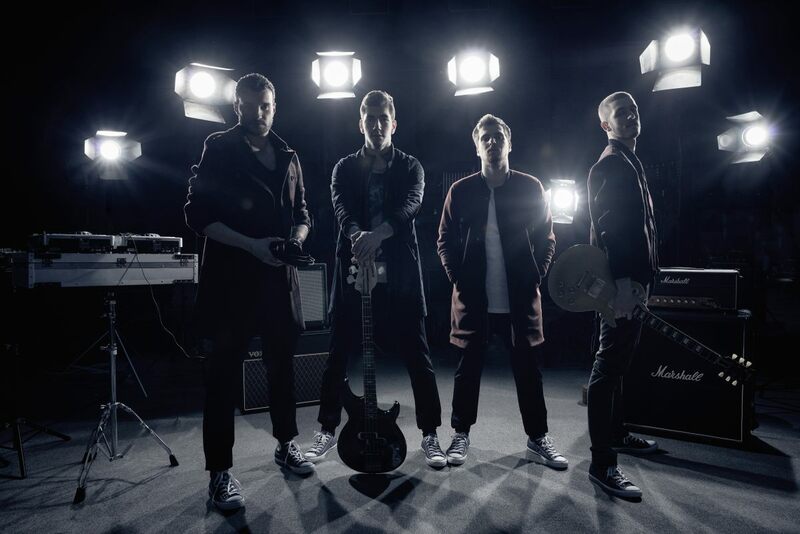 Luka Vojvodić compared the style of composition to those created by the famous bands Depeche Mode, Muse and Arctic Monkeys. Producer of the song Srđan Sekulović Skansi called the song "unusual and different". "The song is quite challenging, because it's energetic and loud. We wanted to sound different and to set the audience in fire with our music. We like to work with each other and we are glad that we came up with this song. The Eurovision is an amazing event. We take it quite seriously and we will our best"
The composers of the song are Skansi, the band guitarist Luka Vojvodic and Maro Market, the lyrics are written by Skansi, who is also responsible for the arrangement and production along with D'Knock, who was also credited with the mix and postproduction. Skansi is a renowned Croatian producer who has previously worked with numerous national top performers. He has collaborated with artists like Dino Dvornik, Massimo, Toni Cetinski, Josipa Lisac, Psihomodo Pop and other popular musicians in the Balkans. D'Knock is also an eminent producer who, independently and as a member of the production duo PlayOne, has achieved numerous worldwide successes, such as cooperation with the legendary British band Simply Red, remixing a single for their latest album, "Queen Of House Music" Barbara Tucker, legendary British producer and Grammy Award winner Andy Wright, popular Macedonian singer Kaliopi and many Croatian performers such as: Nina Badric, The Divas, Toni Cetinski and many others. "The Eurovision Song Contest is important for us, because we got an opportunity to represent our country, and we'll give our best.We believe we have something new to offer. The song is quite different, so you can never get tired of listening to it. The show we are preparing will have a lot of surprises and we can promise that people won't forget it"
Montenegrin representatives at this year's Eurovision Song Contest, members of the band "Highway" came back from London, where they participated in a promotional concert of Europe's largest music festival. "It was great. The first impression is that the audience is a little different from those in Amsterdam, where we played two weekends ago. It was much better reacting to the song, perhaps because the British people love this kind of music. We gave far more interviews for various portals and radio shows. We were satisfied,", says Marko Pesic. As was announced before, their performance in London was attended by the representative of the publishing house of famous producer Simon Cowell, the creator of X Factor. "She was a manager who works for him. Her job is to monitor all the X Factor finalists from Europe. She said she was delighted with our performance and she was amazed that we have not yet signed a contract with a record company. Problem however is that publishing house "Sony", which was interested in us even when we were part of the aforementioned competition, has no office in Montenegro, so we have to work with their representatives somewhere in the region," explained Pesic. The guys from the band "Highway", which will represent Montenegro at the Eurovision Song Contest in Sweden, this morning were guests of the live broadcast of morning show of Croatian Television HRT "Dobro jutro Hrvatska". "This visit is a part of our activities related to the promotion of the song. We thank our colleagues from HRT who have allowed us to be live on a connection from Dubrovnik, in order to reduce costs, and we got a great promotion of our entry in the most watched morning program of Croatia", says Sabrija Vulic. Promotional activities of "Highway" end with the participation in a concert in London this weekend. Also this week "The Real Thing" has finally reached the top spot at the MTV Adria chart Domaćica. "We were delighted when we heard the news. They informed us while we were at sound check in Amsterdam and we were just glad that people like and still vote for our song. This is probably a sign that during the Eurovision the region will also support us, ", said Marko Pesic. 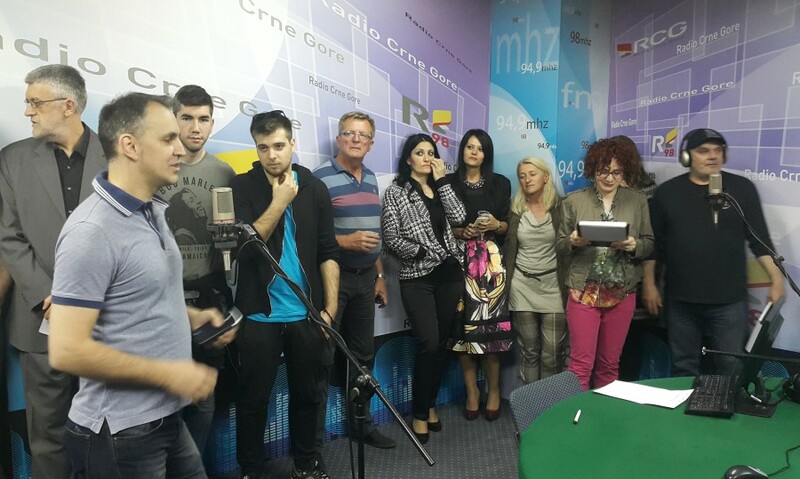 Earlier this week, in the premises of Radio Montenegro, was organized a radio conference, titled "Good luck in Stockholm", dedicated to this year's song contest and Montenegrin representatives of the group "Highway". Studio 98 hosted members of the band, media representatives, large number of fans. The event was also attended by Director General of RTCG Rade Vojvodic. With a group of "Highway", at the conference, was the head of the delegation RTCG, Ivan Maksimovic. 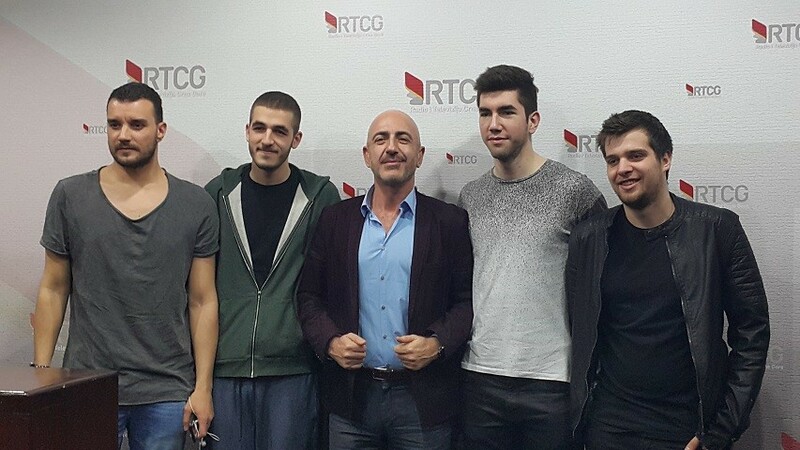 Representative of San Marino in this year's Eurovision Song Contest in Stockholm, Serhat Hadžipašalioglu, has visited Montenegro, where he took part in the joint press-conference with the representatives of this country band Highway. Serhat told press that he has double responsibility representing the two countries on a biggest stage of Europe. "It is for me a great appreciation, but also an obligation, because Turkey is not taking part in the Eurovision Song Contest. It means that as a Turkish singer have a double responsibility, because I will represent San Marino, but Turkey too will be with me on stage," said Hadžipašalioglu. He also revealed that he has received the full support of his fellow citizens, which is, as he points out, a great privilege. "After I was chosen as the representative for San Marino, we had press-conference in both San Marino and Turkey. I'm happy that people of my country reacted very well and supported my decision to represent San Marino. It is a privilege that I have support of my country people", said Hadžipašalioglu. 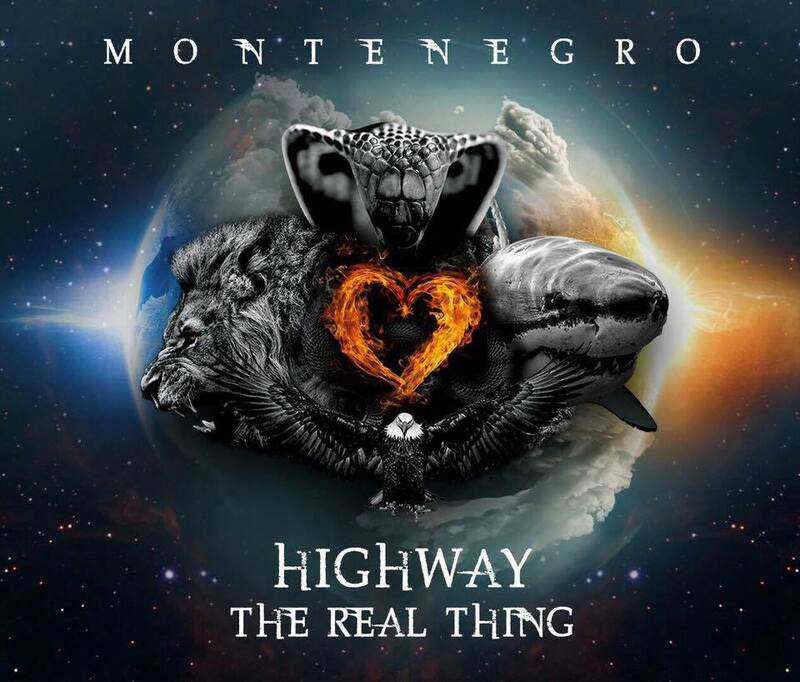 He praised the song "The Real Thing" of the Montenegrin representatives, the group "Highway", calling it 'special' and wished them good luck in the competition. "In my career I always paid attention and supported different things. I do not like the 'copy-paste' music. I like the 'Highway' genuine style and that they are offering a different track to Europe. As you know, often at the Eurovision Song Contest there are generally similar songs. This is a great opportunity that bring something new to the contest. Therefore, I have a lot of respect for your decision to select this song, and I'm very glad you stayed true to your style. I hope we can all have a good time in Stockholm", he concluded. These days representatives of Montenegro Highway band are recording their Eurovision postcard together with the team of Swedish Television. 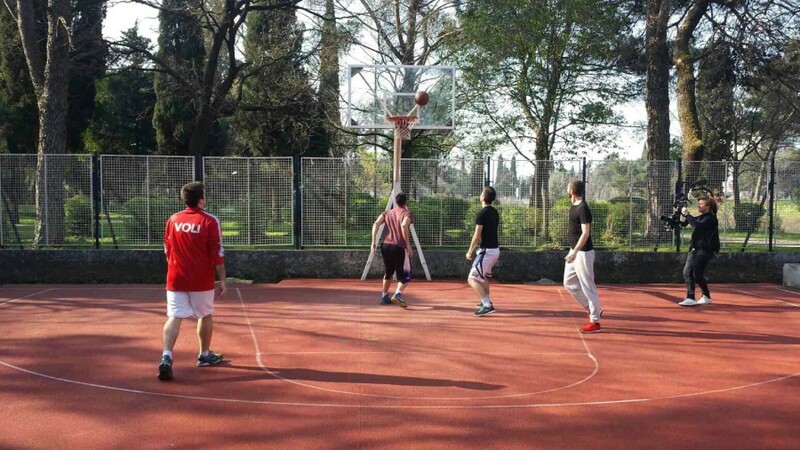 Part of postcard was recorded in Podgorica on the Budućnost basketball court in the Njegošev park, in Music school "Vasa Pavic", while a portion will be recorded on a section of the old road between Kotor and Njeguši. As promised earlier, Highway band has released Club Remix of their entry - listen to it here. Last Sunday Highway members have visited Belgrade, where they were making the concept of their performance in the arena of "Globen". "We had to make a sketch of the show, so we send it to the Eurovision producers so they will know what and whom at what point should be filmed. Our performance is directed by Igor Bosorović, and produced by Mirko Vukomanović, with whom we practicing it in Belgrade", says Marko Pešić to Vjesti. In addition to the four Highway members, the band will be joined on the stage by two back up singers. "They are our friends from X Factor - Nikola Marjanović and Marija Lazić. Nikola is a great singer, was the lead singer of the band Sane, now works with Songkillers, while Marija is known as a member of Anđelina", revealed Pešić. "When I heard the song "The Real Thing" I was surprised, but after a few listens I liked it a lot. Unusual, and not peculiar to this contest", says Nikola Marjanović. "But I will not be making any forecasts, as usually when I try to guess something it goes the other way around"
While visiting the Serbian capital, the band also used time to promote the song, having numerous guest appearances on radio and TV stations. "The response to our song was positive. The best comment we received at the Belgrade radio, where they told us that we are totally different from all the others. I am particularly pleased by the fact that the comments on the Youtube channel are much more positive, almost no negative ones. We visited also MTV, so I hope that we will have the support of them. We are aware that the public in Serbia will not be able to vote for us in the semi-finals, but it would be stupid not to take advantage to promote the song, while we're there, "said Pešić. Highway will also be promoting their entry in Bosnia and Croatia and then will travel to Eurovision parties in Amsterdam and London. "The popularity that we have gained in the X factor is enough for us and so far has helped, but what makes us happy is that it is thanks to our participation in that program, its creator Simon Cowell promised that people from his production company will come to our show in London as support. They are trying to follow all the participants X factor, and in London we will have their support," said Pešić. Montenegrin representatives will in the coming days record their Eurovision postcard. "The Swedish team arrives in Montenegro on 19th and 20 March will be entirely devoted to the shootings. They asked to submit to them some interesting spots, and we will try to fit it all into the concept they have," said Pešić. Although the last few days have been quite busy, Marko and other members of the Highway have managed to listen to some of the songs with which they will be "measuring their swords" in Stockholm. "We first event focused on what comes from the ex-YU region and I am proud to say that all former Yugoslav republics have great songs. Nina Kraljić has a very unusual track and unusual vocal, also a representative of Serbia Sanja Vučić has a good track and is quite reminiscent of Amy Winehouse. There are also representatives of Bosnia and Herzegovina that currently can be considered among the favorites, and Kaliopi was masterful. Only one whose song I have not managed to listen to yet is the representative of Slovenia, but I'll certainly listen to it these days," promises Marko. Band will also be releasing club remix for their entry The Real Thing. The head of Montenegrin delegation Sabrija Vulić says that despite the different opinions of the audience, they are proud of the song. "In any case we can be proud of what made us to introduce young Podgorica group at the Eurovision Song Contest in Stockholm. The old rule is that the taste is not worth discussing, especially in the case of the song The real thing. It brings new sound and new energy, unusual for this area, which is used to light notes and songs about sad love. this is a serious sound and we are not surprised that the song is not liked by everyone. In any case, it leaves no one indifferent, what is most important" commented Vulić. "There was a very long waiting period, the whole project has been going on for four months. We have invested a lot of energy, effort and work. This evening is a crown of our work. As you have the opportunity to hear, the song is different from what can be heard, not only at the Eurovision Song Contest, but anywhere in the world. The song is an energetic and that is why we will do our best to create a spectacular stage performance in Stockholm, " said Marko Pešić after presentation of "The Real Thing. Asked by Vijesti.me what he expected from the Eurovision Song Contest, Pešić was modest. "We expect the first place," he said with a laugh. He says the band has achieved the goal of being different from the rest. "We wanted to introduce something new and thus to become a highlight. I think that with this song we can do it and this is the real deal". Pešić believes that the festival should be diversified. "If it was only for pop music, they would have probably called it "Contest for the best pop ballad". Eurovision is well-known for it's variety of genres. It is true though that pop music is prevailing there, so the viewers who tune in only with the interest to listen to the songs in this genre may be shocked when they hear our song. We are waiting for the May 10, the first semifinals, our first goal is to get into the finals, that was a mini-tradition of Montenegro in the past two years. Then in the final we will give our best, and see what happens, " he said. "We have really provoked strong reactions and comments go from one extreme to another. There are those who feel that the song is phenomenal, even we had some British producers to comment that we have invented a new genre. Of course, there were some negative comments as well, and people who did not like our song, but many after listening several times understand what it is", explains Marko Pešić. Band will continue their preparations in Belgrade, where they will practice the choreography and singing, in March, besides Serbia, they plan to visit with promotion Bosnia and Herzegovina and Croatia as well, and in April band will attend events in Amsterdam and London. Television of Montenegro is preparing the presentation show for the entry of Highway band "The Real Thing", that will be aired live from Hotel Splendid in Bečići on Friday at 20.00 local time. Special guests of the show will be last year representative Knez, entrants of Bosnia Dalal and Deen, and still to be confirmed appearance of representative of Albania Eneda Tarifa. Program will also feature presentation of music video for the entry as well as "making of" footage. 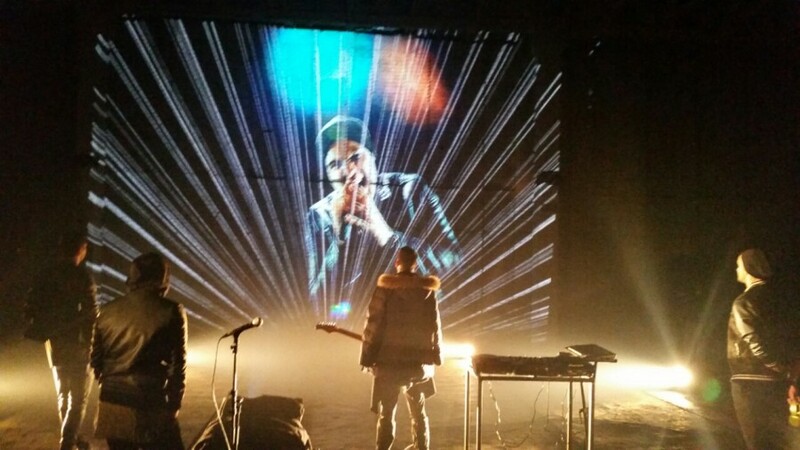 Presentation of the entry of Highway band and music video on it is scheduled for 4 March. 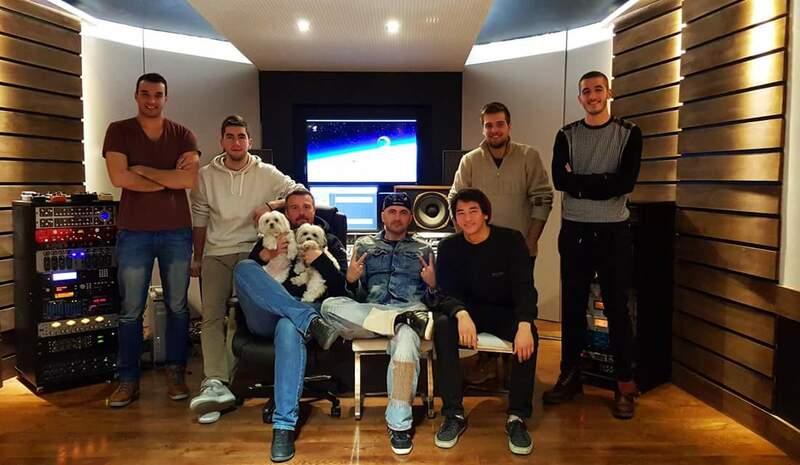 Music video was directed by Julian Wood and filmed in the studio Depo of Belgrade, and, according to the band members, will share the same art concept with what will be seen on the Eurovision stage. "We want to demonstrate the whole energy of the band and the effects that are generated by the specific form of the song", says Marko Pešić. 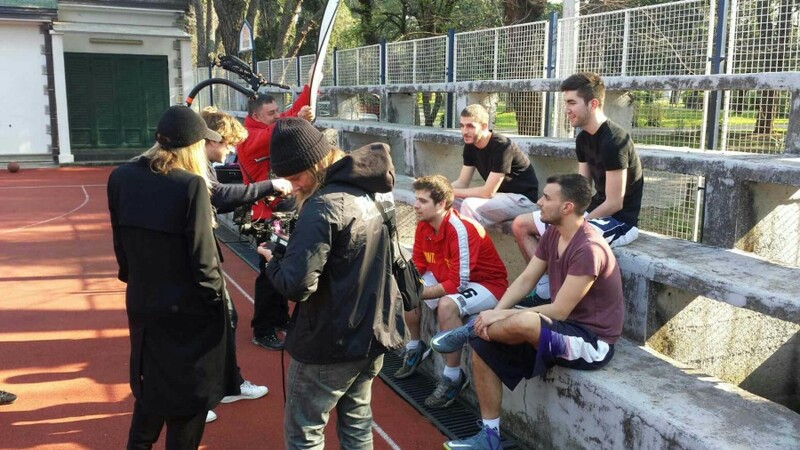 It was earlier announced that the music video will be filmed in Kotor, but due to bad weather in the region the band was forced to change the location and the concept of the video. Music video for the Highway entry will be filmed in mid-February at the locations in Kotor and will be directed by Bane Milatović. Presentation of the entry will be held shortly afterwards in early March. Head of Montenegrin delegation Sabrija Vulic has also confirmed participation of Highway in the promotional concerts in Amsterdam and London. "These are very important events. 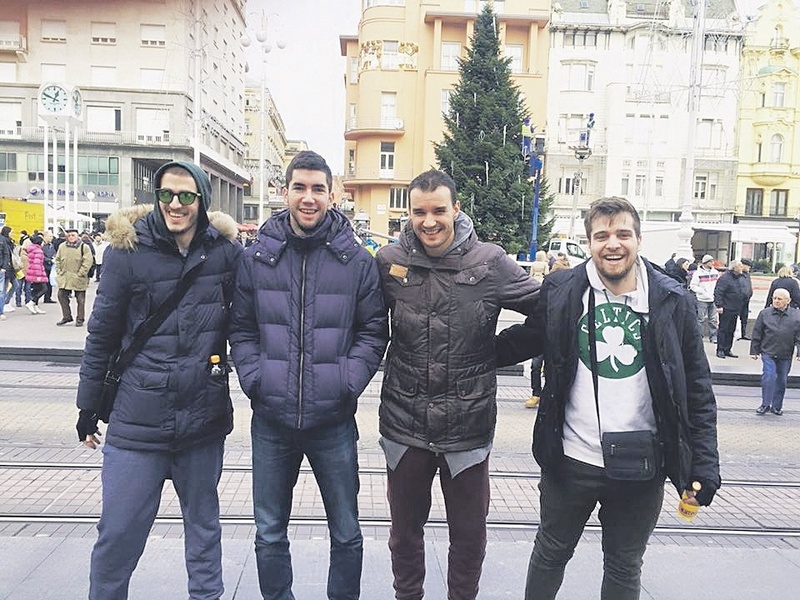 If you have in mind that, for example, last year in the finals were all participants of Amsterdam, you understand how important it is to appear there", said Vulić to MNE Magazine. Check the first TV appearance of Highway band with Bojan Jovović. They become guests of Kod Mila program on RTV Atlas Montenegro, where besides giving long interview also performed songs Bar na kratko and I Need A Dollar. Meanwhile, music video for the song "Sam" has topped this week Domaćica – Top liste chart on MTV Adria. "We are glad that people from all over the former Yugoslavia recognized the quality. Therefore our aim is to keep audiences pleased with our songs", promises Marko Pešić. 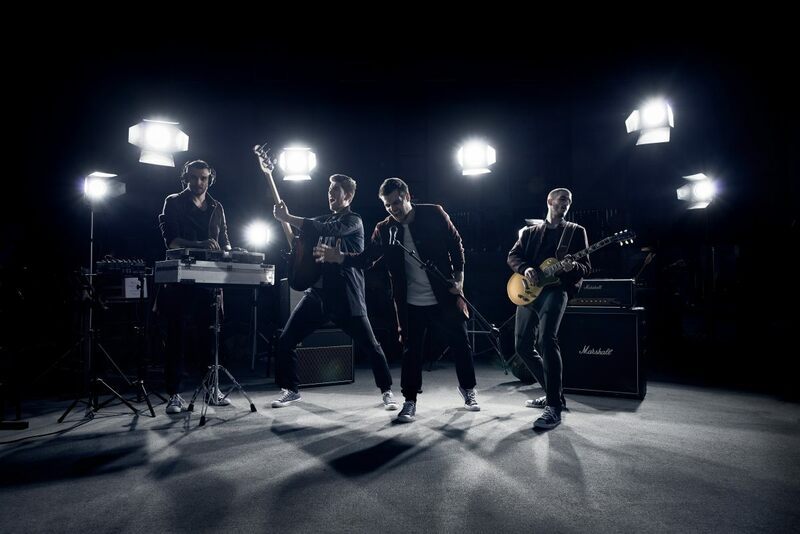 Highway will complete the successful year with a performance at the Podgorica Republic Square on December 31. "We have prepared a different repertoire than what usually bands play. The audience will have the opportunity to hear both our own songs, and rock hits. We can promise the energetic and engaging performance", said Pešić. He hopes that the new year will be as successful for the band. Work on the Eurovision entry will continue after the New Year holidays. "The song is in rock style and everyone who had the opportunity to listen to the demo, believs it can win the audience at the very first listen. At the Eurovision we will sing in English, and the song will be performed by the four vocalists". The work should be completed by the end of February and song presentation will be held in a special TV show in late February or early March. 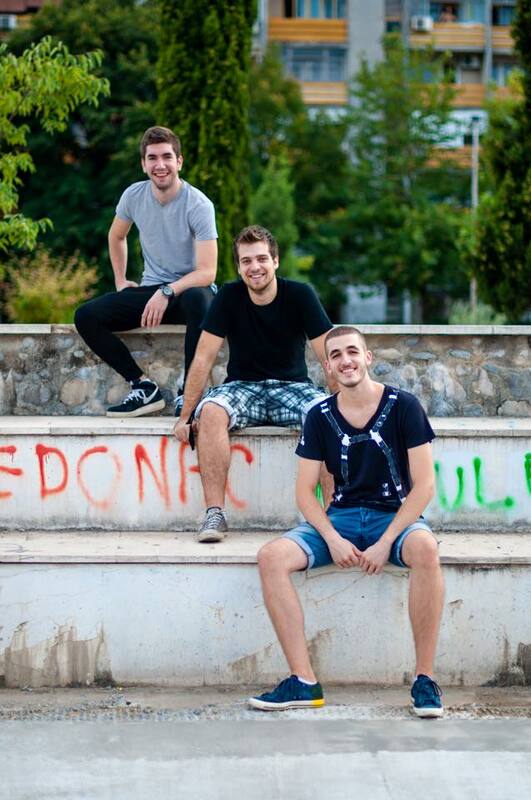 Band Highway, which will represent Montenegro at the forthcoming Eurovision Song Contest, is no longer a trio. 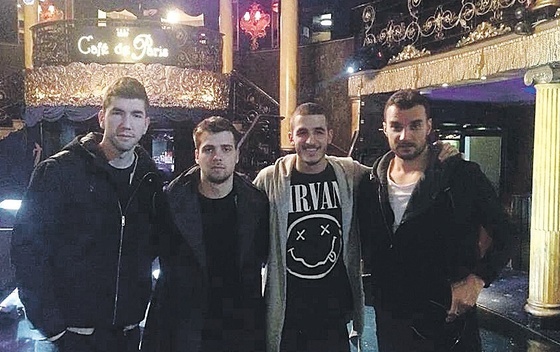 Petar Tošić, Luka Vojvodić and Marko Pešić were joined by Bojan Jovović. A former member of the "No Name" and "Neon", decided that after these two band and solo career, his musical pat leads to "Highway" whose popularity is growing not only in Montenegro, but in the region, as evidenced by this week's fourth place in Domaćica – Top liste on MTV Adria. "I heard that these guys want to do serious things. 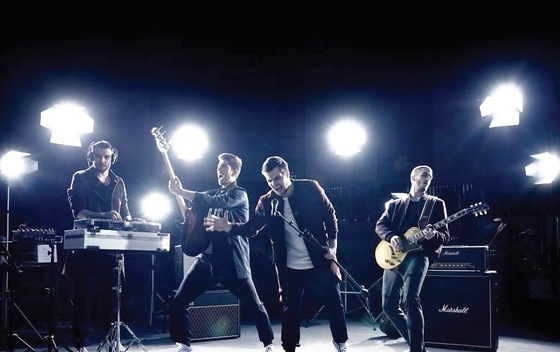 I like the music they do because it's different, and as they needed a keyboardist and vocalist because they planned to expand the band for concerts and participation in Eurovision expand the band, I decided to join them," said Jovović, who began his career as a singer and keyboardist in most popular Montenegrin boy band - "No Name", which represented Serbia and Montenegro in Eurovision Song Contest 2005. After "No Name" as solo artist he had released several hit singles, but always considering group work special, he joined "Neon", and then "Highway". "I have always been attracted to the Bands story, but it is certainly more difficult also because there should be five or six people to agree on every detail. In the world bands are much more popular than the solo performers," says Jovović. During a solo career Bojan has also developed as songwriter, who has later also worked on tracks for other artists. He plans to show his creativity also as a member of the "Highway". "I already have two tracks in mind. After we finish the song for the Eurovision Song Contest, will continue recording the album which will be published by the end of 2016. I am very pleased with the plan, and that "Highway" want to work seriously," admits Jovović. Bojan denies that his joining is a special for the Eurovision Song Contest. "I feel as an equal member of the Highway. Currently we're busy making joint plans, and there is a lot to do," Jovović reveals. "I like that Petar, Luka and Marko are ready to ask, accept advice and criticism. Regardless of the popularity they have gained in a short time, they do not act as the stars who know everything. But I am 10 years older than them, and I have experience of 11 years on the stage, so that can only help them. It's nice to get on, I'm sure we will get some ideas to negotiate easily," says Jovović, who will show his singing skills already at Eurovision. "It will be a surprise, but you will find out more about it at the beginning of the year. Would be unfair if I reveal anything before everyone else. We recently stayed in Zagreb, we did some recordings, and our voices are perfect match," says Jovović to Montenegrin newspaper Vijesti. "I prefer to do one thing at a time, so that now there is only Highway and I'm not thinking about a solo career. It would be counterproductive to work with the band and be building a solo career at the same time. With Neon I performed recently because it was one of their comeback concerts, and I'm still friend with the other members of the band," he explained. Bojan adds that he has never been sorry for leaving "No Name" which had ceased to exist after his departure. "Marko Perić and I, together with songwriter Minja Perić, were the founders of the "No Name". Minjo was the one who believed in the band the most and was giving us a push. After the departure of Marko somehow we have lost the direction, so I decided that I leave "No Name", because it seemed that the rest of the band are also more thinking about solo careers, but not about the band. I do not regret that decision, and I stayed with everyone in the excellent relations. When it comes to that, it is much better to stop than to keep struggling and to start building a solo career, so not be sitting on two chairs," says Jovović. Bojan has already gained a big support and achieved big success with his first band, and now he believes that "Highway" deserves the same treatment. "I think we all need to stand behind Highway because what the band does, is completely different from anything in the Balkans. Today it is not easy," says Jovović. Черногорию на конкурсе Евровидение 2016 в Швеции представит группа "Highway" из Подгорицы, в которую входят солист Петар Тошич и гитаристы Марко Пешич и Лука Войводич. 16 декабря 2015 стало известно, что к коллективу в качестве клавишника и вокалиста присоединится и бывший участник групп "No Name" и "Neon" Боян Йовович. Петар учится на первом курсе электро-технического факультета университета Подгорицы. Ранее, он занимался в начальной музыкальной школе им. Васы Павича, где играл на скрипке. Лука, сын генерального директора телекомпании РТЦГ Раде Войводича, учится на первом курсе факультета экономики. Марко занимается на втором курсе этого же факультета, и также закончил музыкальную школу им. Васы Павича, где играл на гитаре. Лука и Петар знакомы с детства, а с Марко они познакомились два года назад. Идея создать музыкальную группу пришла к ним три года назад во время летних каникул в Херцег Нови. Парни предпочитают слушать поп, рок, блюз и джазовую музыку. В качестве своего музыкального кумира они называют Эда Ширана, а в качестве любимой песни - "Do I want to know" из репертуара Arctic Monkeys. Боян - самый опытный участник коллектива, обладающий 11-летним опытом сценических выступлений, и выступавший на Евровидении 2005 в составе группы "No Name". "Однажды вечером мы играли в суперамаркете, и к нам подходили люди, спрашивая, можно ли посмотреть наши видео на Youtube и есть ли у нас записанные песни. Это стало одной из причин, почему мы решили начать играть вместе в группе", объясняют музыканты. Комиссия, в которую вошли представители исполнительного совета телеканала РТЦГ, автор песен Драган Трипкович, музыкальный редактор Радио Черногории Нада Вучинич, музыкальный редактор РТЦГ Славен Кнезович и прославленный джазовый музыкант Милорад Шуле Йовович, предложили отправить на крупнейший музыкальный конкурс Европы группу "Highway". Исполнительный совет вещателя единогласно поддержал предложение комиссии. Выбор был объявлен публике 2го октября 2015 года. Группа "Highway" приобрела популярность после успеха на региональном конкурсе талантов "X Factor Adria", в котором она заняла четвертое место. "Марко больше всех из нас хотел принять участие в X-Factor, сначала Петар и Лука не поддерживали его идеи, но в конце концов мы все поняли, что это было правильным выбором, и возможностью донести нашу музыку до большого количества людей". Ментором коллектива в конкурсе стал Тончи Хульич, который отвечал за секцию музыкальных групп, а попали в телевизионные шоу они в составе артистов, которым был дан Второй шанс. На шоу группа исполнила собственную песню "Lud", которую они написали за 15 минут, "Zauvijek moja" группы "No Name", "Neko te ima", "I Need a Dollar", "Par godina za nas" / "Ti si sav moj bol". В финале Highway исполнили "Do I Wanna Know?" и "Sve je lako kad si mlad" / "Šta sada ljubav ima s tim". В сентябре "Highway" заключили контракт с издательским домом Menart, региональным представителем лейбла "Sony Music". C песней "Bar na kratko" (которую они исполняли и на прослушивании в X Factor), группа завоевала третье место в вечере "Новых звезд" на фестивале Sunčane Skale этого года. 23го ноября группа представила свой первый видеоклип на песню "Sam". Присоединившись к составу группы Боян Йовович рассказал о том, что его вокал также можно будет услышать на Евровидении, и он планирует предложить пару песен своего авторства для включения в дебютный альбом коллектива, выпуск которого запланирован на конец 2016 года. "Мне нравится то, что Петар, Лука и Марко готовы спрашивать, принимать советы и критику. Несмотря на популярность, которой они добились за короткое время, они не ведут себя как всезнающие звезды. Я хорошо нахожу с ними нахожу общий язык, и я думаю, что мы вместе легко сможем обговорить некоторые идеи," говорит Йовович. "Я думаю, что все должны поддержать группу "Highway", потому что то, что она делает, полностью отличается от всего, что существует в балканской музыке. Сегодня это не так легко," добавляет он. Черногорская песня "The Real Thing" была представлена во время специального телешоу, вышедшего в прямой эфир 4го марта из отеля Splendid в Бечичах. "Я думаю, что мы покажем хорошее шоу, и что наша песня понравится Европейским зрителям", говорит Марко Пешич. Боян Йовович добавляет, что она требует хороших умений, но это соответствует тому, на что способны члены группы. Лука Войводич сравнил стиль композиции с творениями известных групп Depeche Mode, Muse и Arctic Monkeys. Продюсер песни Срджан Секулович Сканси назвал ее "необычной и отличающейся от других". "Песня довольно сложная для исполнения, потому что она энергичная и громкая. Мы хотели прежде всего выделиться по звучанию и зажечь зрительскую аудиторию своей музыкой. Нам нравится работать друг с другом и мы очень рады тому, что смогли создать данную песню. Евровидение - это потрясающее мероприятие. Мы воспринимаем его весьма серьезно и постараемся показать себя с наилучшей стороны"
Композиторы песни - Сканси, гитарист группы Лука Войводич и Маро Маркет, текст песни написан Сканси, который также подготовил аранжировку и продакшен композиции вместе с D'Knock, отвечавшим еще и за микширование и постпродакшн. Сканси - известный хорватский продюсер, который имеет опыт работы с лучшими исполнителями своей страны. Он сотрудничал с такими артистами, как Дино Дворник, Массимо, Тони Четински, Йосипа Лисац, Psihomodo Pop и другими известными музыкантами Балкан. D'Knock - также известный продюсер, который самостоятельно и в составе продюсерского дуэта PlayOne, достиг ряда международных успехов, в том числе сотрудничества с легендарной британской группой Simply Red, ремикшируя сингл для их последнего альбома, "Queen Of House Music" Барбары Такер, легендарным британским продюсером и обладателем премии Grammy Энди Райтом, популярной македонской певицей Калиопи и многими хорватскими исполнителями, такими как Нина Бадрич, The Divas, Тони Четински и многими другими. "Конкурс Евровидение очень важен для нас, поскольку мы получили возможность представить свою страну, и мы покажем все, на что мы способны. Мы полагаем, что у нас есть нечто новое, чтобы предложить зрителям. Песня отличается от других, она такова, что никогда не устаешь ее слушать. Шоу, которое мы готовим, будет нести в себе множество сюрпризов, и мы обещаем, что вы его никогда не забудете"
Представители Черногории на конкурсе Евровидение этого года, участники группы Highway, вернулись из Лондона, где приняли участие в промо-концерте London Eurovision. "Было здорово. Первое впечатление, что аудитория там немного отличается от амстердамской, где мы выступали две недели назад. Она намного лучше приняла нашу песню, возможно, потому что британцам нравится подобная музыка. Мы дали намного больше интервью различным порталам и радио-программам. В общем, мы довольны,", говорит Марко Пешич. Как сообщалось ранее, выступление группы в Лондоне посетила представительница издательского дома знаменитого продюсера Саймона Коуэлла, основателя X Factor. "Это - менеджер, работающая с ним. В ее задачу входит мониторинг всех финалистов X Factor со всей Европы. Она сказала, что была восхищена нашим выступлением и была очень удивлена, что у нас до сих пор не подписан контракт с издателем. Проблема заключается в том, что у лейбла Sony, который весьма интересовался нами еще когда мы принимали участие в вышеупомянутом конкурсе, не имеет представительского офиса в Черногории, потому нам приходится работать с их представителями в других странах региона", объясняет Пешич. Участники группы "Highway", которые представят Черногорию на конкурсе Евровидения в Швеции, этим утром стали гостями прямого эфира утреннего шоу хорватского телевидения HRT "Dobro jutro Hrvatska". "Этот визит стал частью промо-мероприятий в поддержку песни. Мы благодарим наших коллег из HRT, которые позволили нам выйти в прямой эфир из Дубровника, что позволило нам сократить затраты, и в то же время сделать крупное промо нашей песни в самой популярной утренней програме Хорватии", говорит Сабрия Вулич. Промо-мероприятия с участием "Highway" завершатся на этой неделе их участием в концерте в Лондоне. Также на этой неделе "The Real Thing" наконец достигла высшей строчки чарта MTV Adria Domaćica. "Мы были невероятно обрадованы этой новости. Мы узнали о ней во время саундчека в Амстердаме. Мы просто рады тому, что зрители все еще продолжают голосовать за нашу песню, значит она им очень нравится. Надеемся, что это знак того, что страны региона поддержат нас и в голосовании на самом Евровидении", говорит Марко Пешич. Ранее на этой неделе в помещении Черногорского радио прошла радиоконференция "Удачи в Стокгольме", посвящанная конкурсу этого года и представителям Черногории Highway. В Студии 98 вместились участники коллектива, представители СМИ и большое количество поклонников группы. На мероприятии также выступил генеральный директор телеканала РТЦГ Раде Войводич. С группой Highway на конференции присутствовал и новый глава делегации канала РТЦГ Иван Максимович. Представитель Сан-Марино на конкурсе Евровидение этого года, Серхат Хаджипашалиоглу посетил Черногорию, где принял участие в совместной пресс-конференции с представителями этой страны группой Highway. Серхат рассказал прессе, что у него двойная ответственность, поскольку он представляет две страны на самой большой сцене Европы. "Для меня - это большая честь, но в то же время и обязательство, поскольку Турция не принимает участия в конкурсе этого года. Это значит, что как гражданин Турции, я несу двойную ответственность, я буду представлять Сан-Марино, но и Турция также будет со мной на сцене, рассказал Хаджипашалиоглу. Он также поведал о том, что получил полную поддержку со стороны своих соотечественников, что, по его словам, является большой привилегией. "После того, как я был выбран представителем Сан-Марино, мы провели пресс-конференцию как в Сан-Марино, так и в Турции. Я счастлив тому, что жители моей страны отлично отреагировали на эту новость и поддержали мое решение выступить за Сан-Марино. Иметь поддержку своего народа - большая привилегия", говорит Серхат. Он также похвалил песню "The Real Thing" представителей Черногории группы "Highway", назвав ее "особой" и пожелав им успеха. "В своей карьере я всегда обращал внимание и поддерживал различные вещи. Я не люблю музыку, созданную методом "copy+paste". Мне нравится своеобразный стиль Highway и то, что они предлагают для Европы особенный трек. Как вы знаете, часто на конкурсе Евровидение исполняются похожие песни. Это - прекрасная возможность привнести в него что-то новое. Потому, я уважаю ваше решение выбрать эту песню, и я рад, что вы остались преданы своему стилю. Я надеюсь, что все мы хорошо проведем время в Стокгольме", завершил он. В эти дни представители Черногории группа Highway вместе с командой шведского телевидения снимают свою визитку для Евровидения. Съемки проходят в Подгорице, на баскетбольной площадке Budućnost в парке Njegošev, в музыкальной школе "Vasa Pavic", а еще часть будет снята на старой дороге между Котором и Негуши. В прошлое воскресенье группа Highway посетила Белград, где работала над концепцией сценического представления своей песни в Глобен-Арене. "Мы должны были сделать скетч нашего номера, и отослать его продюсерам Евровидения, чтобы они знали, что, кого и с какой точки снимать в какой момент времени. Режиссером нашего выступления является Игорь Босорович, а продюсером - Мирко Вукоманович, с которыми мы и репетировали его в Белграде", говорит Марко Пешич газете Вести. Помимо четырех членов группы Highway, на сцене будут и два бэк-вокалиста. "Это - наши друзья с X Factor - Никола Марьянович и Мария Лазич. Никола - замечательный исполнитель, он был солистом группы Sane, сейчас работает с Songkillers, а Мария известна как член группы Anđelina", рассказывает Пешич. "Когда я услышал песню "The Real Thing", то я был удивлен, но после нескольких прослушиваний она мне очень понравилась. Необычная и не свойственная для этого конкурса", говорит Никола Марьянович. "Но я не буду делать каких-либо прогнозов, потому что всегда, когда я пытаюсь что-то угадать, все получается наоборот"
Во время посещения столицы Сербии группа также использовала возможность для продвижения своей песни, посетив ряд теле и радиостанций. "Реакция на нашу песню была весьма положительным. Лучший комментарий мы получили на Белградском радио, где нам сказали, что мы совершенно отличаемся от всех других. Я особенно доволен тем, что комментарии на Youtube к песне в большей степени положительны, практически нет негативных. Мы также побывали на MTV и надеемся на получение поддержки от них. Мы понимаем, что жители Сербии не смогут проголосовать за нас в полуфинале, но было бы глупо не использовать возможность раскрутки своей песни, пока мы находимся здесь", говорит Пешич. Highway также будут раскручивать свою песню в Боснии и Хорватии, а затем отправятся на вечеринки Евровидения в Амстердаме и Лондоне. "Популярность, которую мы заработали благодаря участию в X Factor достаточна для нас и очень помогает нам, но что делает нас еще более счастливыми, это то, что благодаря нашему участию в этой программе, ее создатель Саймон Кауэлл пообещал, что представители его продакшн-компании побывают на нашем выступлении в Лондоне. Они стараются отслеживать прогресс всех выходцев из X Factor, и в Лондоне мы можем рассчитывать на их поддержку," говорит Пешич. В ближайшие дни пройдет съемка посткарда для Евровидения. "Шведская команда прибудет в Черногорию 19го марта, и 20го будет полностью посвящено съемкам. Они попросили нас сообщить им интересные места, и мы попытаемся вписать это в концепцию, что есть у них," объясняет Пешич. Несмотря на то, что последние дни были достаточно занятыми, Марко и другие члены группы Highway послушали некоторые из песен, с которыми им предстоит "скрестить свои мечи" в Стокгольме. "Сначала мы уделили внимание тем песням, что выставлены на конкурс странами бывшей Югославии, и я с гордостью считаю, что у всех бывших Югославских стран прекрасные песни. У Нины Кральич очень необычный трек и необычный вокал, у представительницы Сербии Саньи Вучич также отличная песня, и она напоминает стилистику Эми Уайнхаус. Представители Боснии и Герцеговины уже входят в число фаворитов, и Калиопи, как всегда - мастер своего дела. Единственная песня, которую я пока не послушал - это представителя Словении, но обещаю сделать это в ближайшие дни," обещает Марко. Группа также выпустит клубный ремикс на свою композицию The Real Thing. Глава делегации Черногории Сабрия Вулич говорит, что несмотря на смешанное мнение слушателей, они гордятся песней. "В любом случае мы можем гордиться тем, что заставило нас выставить молодую группу из Подгорицы на конкурс Евровидение в Стокгольме. Старое выражение говорит "на вкус и цвет товарищей нет", что особенно применимо к песне The Real Thing. Она приносит с собой новое звучание и новую энергетику, необычную для нашего региона, привыкшего к легкой музыке и печальным песням о любви. Здесь мы слышим серьезное звучание, и потому мы не удивлены, что песня не пришлась по вкусу абсолютно всем. Важно другое - она не оставляет никого безразличным", комментирут Вулич. "Был очень большой период ожидания, проект длился уже четыре месяца. Мы вложили массу энергии, усилий и работы. И этот вечер - венец нашей работы. Как у вас была возможность услышать, наша песня отличается от всего, что можно услышать, не только на конкурсе Евровидение, но и вообще в мире. Наша песня очень энергичная, и потому мы постараемся создать эффектное сценическое выступление в Стокгольме, " сказал член Highway Марко Пешич после презентации "The Real Thing". На вопрос Vijesti.me о том, что он ожидает от конкурса Евровидение, Пешич проявил скромность: "Мы ожидаем первое место,", ответил он, усмехнувшись. Марко говорит, что группе уже удалось достичь своей цели отличиться от других. "Мы хотели представить что-то новое, и тем самым запомниться. Я думаю, что с песней "The Real Thing" нам удалось добиться этого". Пешич считает, что Евровидение должно оставаться разнообразным. "Если бы это был только фестиваль поп-музыки, то его бы, наверное, назвали "Конкурс на лучшую поп-балладу". Евровидение известно своим разнообразием жанров. Действительно, превалирует там все-таки поп-музыка, потому некоторые слушатели, которые нацелены видеть там только песни в этом жанре, могут быть шокированы, услышав нашу песню. Сейчас мы ждем первого полуфинала, 10 марта, и наша первая цель - попасть в финал, продолжив мини-традицию, установившуюся в Черногории в последние два года. В финале мы постараемся показать все, на что мы способны, и уже что будет - то будет", говорит он. "Мы уже вызвали сильную реакцию и комментарии от одной крайности до другой. Есть и те, кто считает нашу песню феноменальной, некоторые британские продюсеры даже написали нам, что мы изобрели новый жанр. Конечно, были и негативные комментарии, и те люди, которым песня не понравилась, но после нескольких прослушиваний все-равно большинство понимают ее суть", объясняет Марко Пешич. Группа продолжит свою подготовку в Белграде, где будет оттачивать хореографию и вокальное мастерство, в марте, помимо Сербии, с промо-туром посетит еще Боснию и Герцеговину и Хорватию, а в апреле побывает на вечеринках Евровидения в Амстердаме и Лондоне. Телевидение Черногории завершает подготовку шоу-презентации песни группы Highway "The Real Thing", которое выйдет в эфир из отеля Splendid в Бечичи в эту пятницу в 20:00 местного времени. Специальными гостями шоу станут прошлогодний представитель Черногории Кнез, представители Боснии этого года Далал и Дин, а также все еще ждет подтверждения участие представительницы Албании Энеды Тарифы. В программе также будет представлен видеоклип на конкурсную песню, а также рассказ "making of" о его съемках. Презентация песни черногорской группы Highway и видеоклипа на нее пройдет 4го марта. Видеоклип был снят режиссером Джулианом Вудом в студии Депо в Белграде, и, по словам участников группы, будет отражать ту же концепцию, что можно будет увидеть позднее и на сцене Евровидения. "Мы хотели показать всю энергию, присущую группе, а также подчеркнуть те эффекты, которые происходят от особой формы композиции", рассказывает Марко Пешич. Ранее сообщалось о том, что съемки видеоклипа пройдут в Которе, но из-за плохой погоды в регионе, группа была вынуждена изменить месторасположение съемок и концепцию клипа. Видеоклип на песню группы Highway будет снят в середине февраля в различных точках Котора, его режиссером станет Бане Милатович. Презентация песни пройдет вскоре после этого в начале марта. Глава делегации Черногории Сабрия Вулич также подтвердил участие группы Highway в промо-концертах в Амстердаме и Лондоне. "Это - очень важные мероприятия. Если вы вспомните, что в прошлом году в финале были все участники концерта в Амстердаме, то вы поймете - насколько важно выступить на нем", заявил Вулич MNE Magazine. Предлагаем вашему вниманию видеозапись первого ТВ выступления группы Highway в качестве квартета с участием Бояна Йововича. Коллектив стал гостями программы Kod Mila на RTV Atlas, где, помимо длинного интервью, также исполнил две песни - Bar na kratko и I Need A Dollar. Тем временем, на этой неделе видеоклип на песню "Sam" возглавил хитпарад Domaćica – Top liste на MTV Adria. "Мы рады тому, что люди со всей бывшей Югославии признали качество нашей песни и клипа. Наша цель продолжить дарить удовольствие слушателям нашими песнями", обещает Марко Пешич. Highway завершат успешный год выступлением на площади Республики в Подгорице 31го декабря. "Мы подготовили репертуар, отличающийся от других групп. Зрители получат возможность услышать как наши собственные песни, так и мировые рок-хиты. Мы можем пообещать вам очень энергичное и захватывающее выступление", говорит Пешич. Он надеется, что новый год станет таким же успешным для группы. Работа над песней для Евровидения продолжится после новогодних праздников. "Песня в рок-стиле, и все, у кого была возможность услышать ее демо-версию, соглашаются с тем, что она может захватить зрителей с самого первого прослушивания. На Евровидении мы будем петь на английском языке, и песню будут исполнять четыре вокалиста". Работа над песней должна завершиться к концу февраля, и ее презентация пройдет в специальном телешоу в конце февраля - начале марта. Группа Highway, которая представит Черногорию на предстоящем конкурсе Евровидение, больше не трио. К Петару Тошичу, Луке Войводичу и Марко Пешичу присоединился Боян Йовович. Бывший участник групп "No Name" и "Neon" решил, что после двух групп и сольной карьеры, его музыкальная дорога ведет в "Highway", чья популярность продолжает расти не только в Черногории, но и во всем регионе, что очевидно из достигнутого на этой неделе четвертого места в хит параде Domaćica на MTV Adria. "Я слышал, что эти парни настроены очень серьезно. Мне нравится та музыка, которой они занимаются, поскольку она выделяется, и так как им требовались клавишник и вокалист для расширения группы, концертов и участия в Евровидении, я принял решение присоединиться к ним," говорит Йовович, который начал свою карьеру в качестве солиста и клавишника в самой популярной черногорской группе "No Name", представлявшей Сербию и Черногорию на Евровидении 2005. После "No Name", как сольный артист, он выпустил несколько хит-синглов, но всегда продолжал считать работу в группах особенной, потому присоединился сначала к "Neon", а затем к "Highway". "Меня всегда привлекали истории музыкальных групп, хотя, конечно, это намного сложнее, ведь пять-шесть человек должны постоянно соглашаться на каждый шаг. Но в мире группы всегда значительно популярнее сольных исполнителей," говорит Йовович. За время своей сольной карьеры Боян также развил в себе таланты автора песен, и позднее работал над композициями и для других артистов. Он планирует показать эту сторону своего творчества и в составе "Highway". "Я уже держу в уме две песни. После того, как мы закончим работу над песней для Евровидения, мы продолжим запись альбома, который планируется к выходу в конце 2016 года. Я очень доволен этим планом, и тем, что "Highway" серьезно относятся к работе," признается Йовович. Боян отрицает, что его присоединение к группе - это разовый шаг для Евровидения. "Я ощущаю себя полноценным членом коллектива. Сейчас мы все вместе работаем над будущими планами, нам многое предстоит сделать," рассказывает Йовович. "Мне нравится то, что Петар, Лука и Марко готовы спрашивать, принимать советы и критику. Несмотря на популярность, которой они добились за короткое время, они не ведут себя как всезнающие звезды. Я на 10 лет старше их, имею 11-летний опыт выступлений на сцене, так что мой опыт может только помочь. Я хорошо нахожу с ними нахожу общий язык, и я думаю, что мы вместе легко сможем обговорить некоторые идеи," говорит Йовович, который продемонстрирует свои вокальные данные уже на Евровидении. "Пока это сюрприз, но вы узнаете все подробности в начале года. Было бы несправедливо мне рассказывать об этом раньше, чем всем остальным. Недавно мы побывали в Загребе, где сделали несколько записей, и наши голоса прекрасно подошли друг к другу," рассказал Йовович в интервью черногорской газете "Вести". "Я предпочитаю заниматься только одной вещью в одно время, потому, раз я работаю в "Highway", то я не думаю о своей сольной карьере. Было бы контр-продуктивным работать с группой и развивать свою сольную карьеру в то же время. С "Neon" я недавно выступал только потому, что это был один из их концертов в честь воссоздания группы, и мы все еще дружим с другими ее участниками," объясняет он. Боян добавляет, что никогда не сожалел о том, что покинул "No Name", которая прекратила свое существование вскоре после его ухода. "Основателями "No Name" были Марко Перич и я, вместе с автором песен Миньей Перичем. Миньо был именно тем, кто больше всего верил в группу, и подталкивал нас к совершенствованию. Но после ухода Марко мы каким-то образом утеряли смысл для продолжения, и потому я также решил выйти из "No Name", где большинство из участников думали о своих сольных карьерах, а не о группе. Я не сожалению о данном решении, и до сих пор нахожусь в прекрасных отношениях с другими участниками коллектива. Но когда дело доходит до такой стадии, то лучше принять решение и остановиться, чем продолжать мучаться, и начать заниматься сольной карьерой, не пытаясь усидеть на двух стульях," говорит Йовович. Боян, который уже получил большую зрительскую поддержку и добился большого успеха со своей первой группой, верит, что и "Highway" заслуживает подобного отношения. "Я думаю, что все должны поддержать группу "Highway", потому что то, что она делает, полностью отличается от всего, что существует в балканской музыке. Сегодня это не так легко," говорит Йовович.